Canadian Celiac Association is on ECHOage! 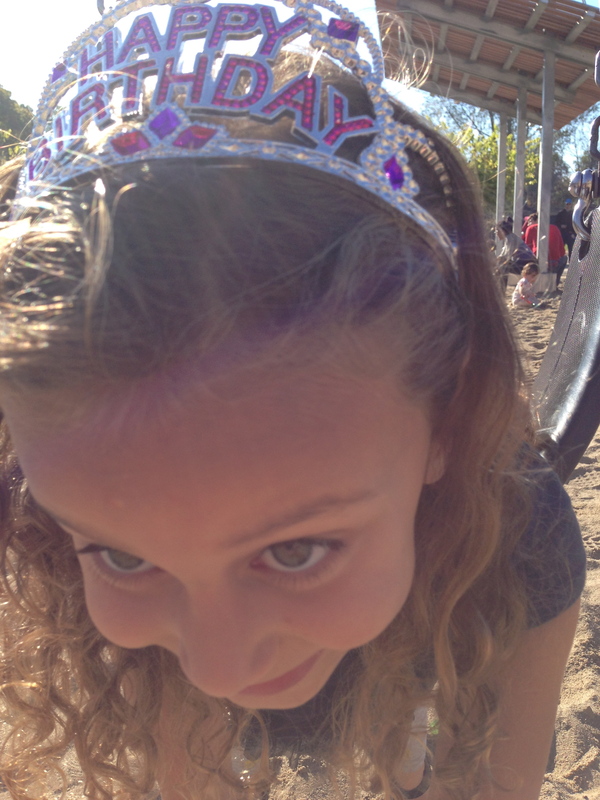 My non-celiac girl turned 6. 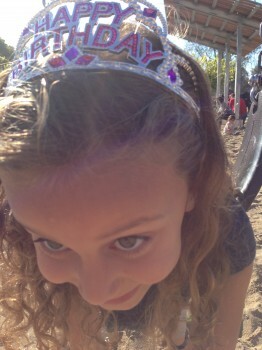 One of my proudest moments as a mother happened a few weeks ago as Franny and I were planning her 6th birthday soirée. After going over her guest list, I talked to her about having an ECHOage party. Truth is, she’s been having ECHOage parties ever since her 1st birthday, but this year I felt she was old enough to really understand what it means and get involved. ECHOage is an online birthday party service where kids get the gifts they want AND give to a charity. It was created by two brilliant Toronto moms who wanted to make birthday parties more rewarding for the kids and less work for the parents. Who can argue with that? ECHOage is also convenient and environmentally friendly! Everything you need—RSVPs, contributions, birthday messages, thank you notes—is included in the online guest tracker. There’s also a feature that allows parents to indicate any food allergies their child has, which I appreciate as the mom of a gluten-free girl. No paper invites, no piles of discarded wrapping paper, no running around returning unwanted or duplicate gifts. But, by far, the best part about ECHOage is the feeling your child will have from helping others; getting an awesome gift definitely sweetens the deal! 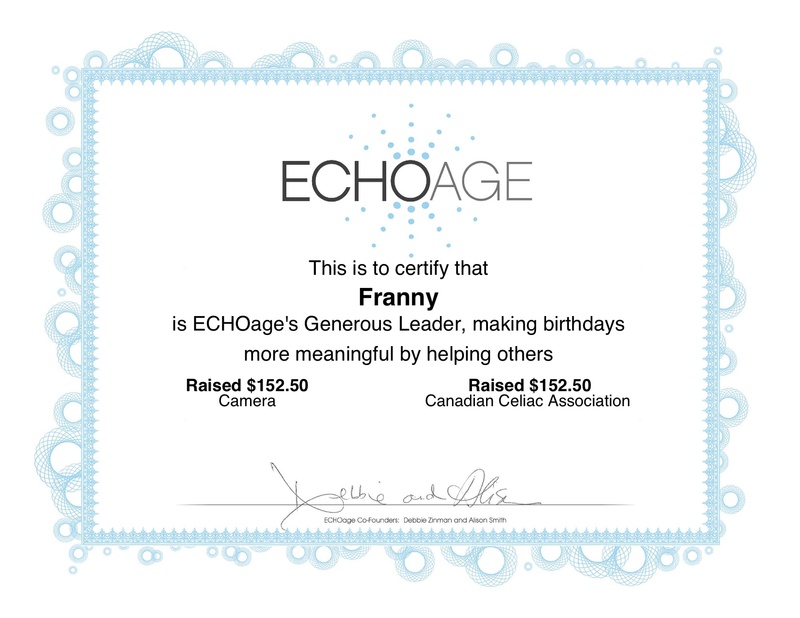 So Franny and I went on the charity page of the ECHOage website. We scrolled through the 200-plus (!) local and national charities that have partnered with ECHOage. There is a charity for every imaginable cause, from health to animals to the environment. We read the names and looked at the logos and we talked about what the various charities do. Then we came upon a familiar logo—the Canadian Celiac Association—and without a moment of hesitation, Franny said, “That’s the charity I want because Lily has celiac!” There it was, my proudest moment as a mother. With her charity chosen and her invitations emailed, we planned the party. Franny wanted to have a “mock-over”—a mock sleepover, that is—with 10 friends and cousins coming dressed in their pajamas. They would do a craft (inspired by the Children’s Art Studio), then we’d order pizza, have cake, watch a movie and eat popcorn. And then their parents would pick them up. Franny requested her favourite appetizer, picked out the flick (Epic) and got the loot for her bags. 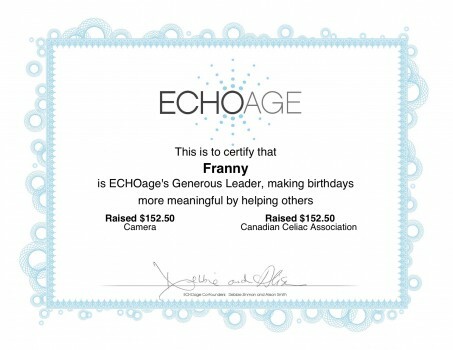 Franny ended up raising $152.50 for the Canadian Celiac Association and she got $152.50 for her birthday present—an underwater camera. But I think the best gift of all is the ECHOage award proudly taped to the wall in her room…and her big sister’s gratitude. The next time you’re planning your child’s birthday party, go ahead and ECHOage it!